And these are the pastries that I made Ma for Mother’s Day…they’re divine, no other way to describe them really. 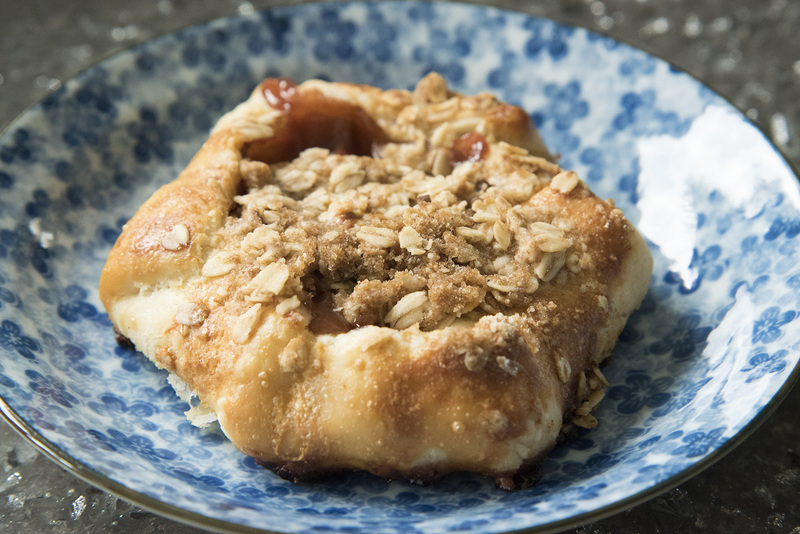 Borrowed from the ‘Duchess Bake Shop’, by Giselle Courteau, I know you have extra rhubarb that you need to use…so make these! Preheat the oven to 375 and line a large baking sheet with parchment. In a small bowl, combine all of the crumb topping ingredients except the butter, then use your hands or a pastry cutter to work the butter into the mix. Set the topping aside. In a separate bowl, combine the filling ingredients – if you time it so that this fruit mix sits for about 15 minutes, then the sugar will be better combined. Set the filling aside, but stir it again before you use it. As with the making of the pastry, the pastry here needs to be kept as cold as possible and you need to work fast when assembling the galettes – so have everything ready! I have a marble slab that I’m able to keep in the freezer for moments like these, another idea is to fill a baking sheet with ice and water and set it on your counter where you’re going to do your pastry rolling – cooling off the area really does help! Roll out your dough as you would, then use a small bowl or saucer with a 6ish-inch diameter to measure out 6 pastry circles, you may need to re-roll scraps, but getting 6 shouldn’t be a problem. Lay the 6 pastry circles out onto your parchment lined baking sheet (I also set this on my cold marble), evenly distribute the filling into each, fold up the edges towards the middles and pinch the overlapping pastry sections so they stay together. 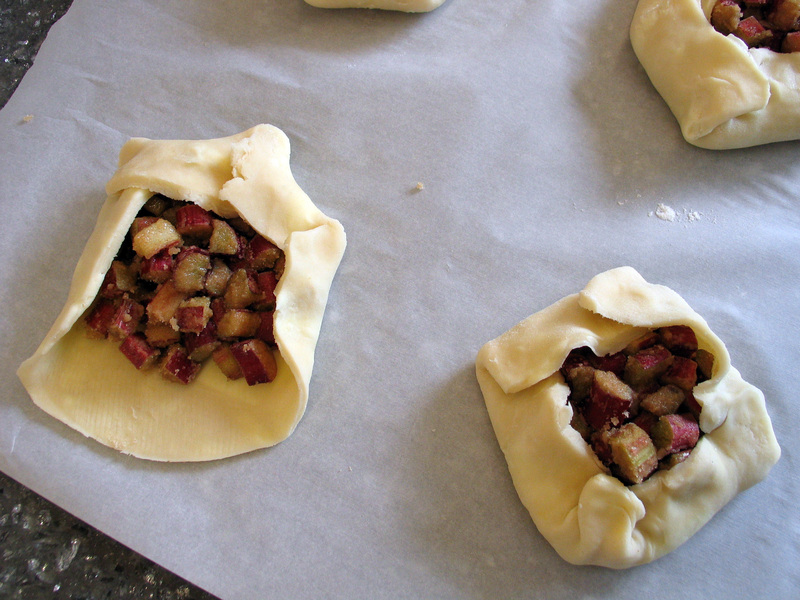 Whisk together the egg white and cream and brush all visible pastry, then evenly distribute the crumb topping onto the middles of each, completely covering the rhubarb filling. 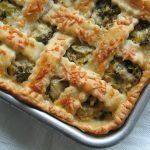 Bake for about 45 minutes until the pastry in a beautiful golden brown and then serve warm or at room temperature – enjoy!